It’s Monday November 29, 2010, and while I happily sat in a courtroom all day, one Starbucks in Seattle got something that no Starbucks (other than 1912 Pike Place) has seen in several years: A semi-manual espresso machine requiring baristas to hand tamp the espresso! 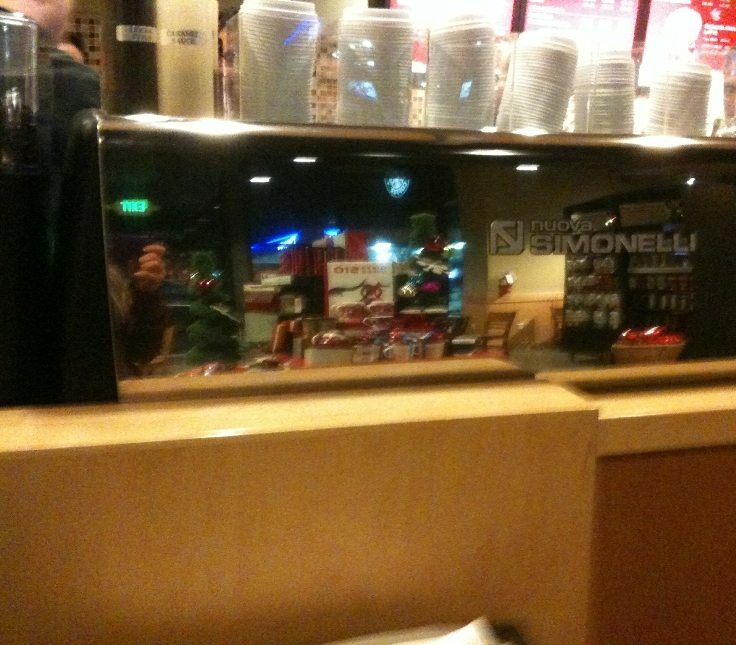 As it turns out … what incredible luck … a dear friend of mine happened to go into her neighborhood Starbucks today, and immediately saw this shiny new Nuova Simonelli espresso machine. She recognized it as something I would be interested in, and soon was sending me a couple of pics. Here is the Nuova Simonelli website, for those interested. What does this really mean for Starbucks? I have no idea. All I know is that it is very cool. Obviously, this is an extremely small and limited test. I haven’t had a chance to get to this store in Seattle. Might be the weekend before I have time. If anyone else has seen this machine or knows about it, please pass on the scoop. One fun thing about a machine where beans are hand-tamped, it means that beverage possibilities can be more creative. One could possibly use more than just Starbucks Espresso Roast, and it is possible to pull a “cubano” shot too (the espresso is hand-tamped with sugar directly over the espresso). When I saw the photos I received via email, I recognized the machine as being just like the one I have seen at 15th Avenue Coffee and Tea recently. Looks like a great machine. The floor is yours. Please keep in mind that Starbucks tests a great many foods, beverages, ideas, products, and concepts that never launch nationally! Mastrena – This is a fully automatic espresso machine. It pulls a high quality shot and is still being rolled out nationwide but most stores have one now. 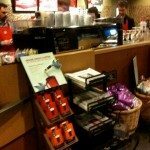 Verismo – Also a fully automatic espresso machine found in some Starbucks stores. Clover – This is a coffee brewer. It is a special single cup brewer of coffee, producing a cup of coffee in a method like an upside down French press. La Marzocco – This is a manual espresso machine. At one time it was common at Starbucks, now you have to visit 1912 Pike Place Starbucks to see this historic machine in use at a Starbucks. Nuova Simonelli – A manual espresso machine. I’ve heard on twitter that this is the chosen brand of machines for barista competitions. ? Seattle's Best President Michelle Gass reveals the SBC of the future!!! The Evolution Fresh Veggie Burger: A small test. I wanna try it! I wanna try it. I bet the flavor is amazing. 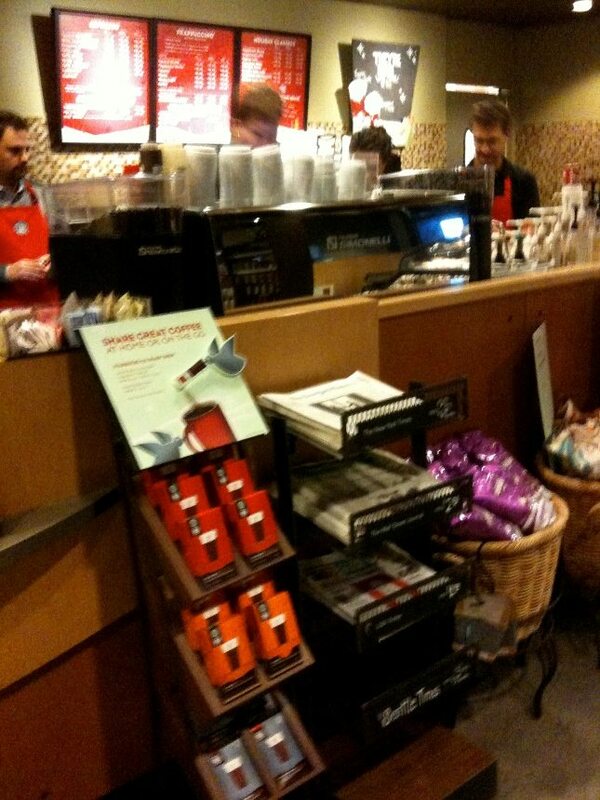 @ Kate We have the Mastrena machines in my store. At first I loved them but now,.. not so much. Not because of the flavor, the flavor of the espresso is great, but the machines have been very temperamental for us. Personally I want the Verismo machines back. I could get those tweaked just right and they would produce amazing espresso shots. The issue with the Mastrenas is with baristas messing with them. Mastrenas are designed to constantly monitor and adjust themselves, but baristas who can’t stop from fiddling with them destroy the internal calibration. There is an update to them that is rolling out that will no longer allow OCD barista’s to ruin the calibration. It ignores all input to calibration until the machine requests it. 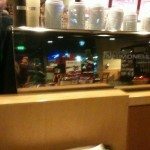 This is why people think the Mastrena is “temperamental”, too many baristas doing things it is not their job to do.